We read John 13:1-17 the account of Jesus washing the disciple’s feet, in which Jesus makes a loud statement in a simple act of service. It is important to note that Jesus was secure in his authority (verse 3), he did not have any doubt as to who he was. This makes the first word of verse 4 so powerful; “So”, in light of his knowledge of his status he got up from the meal and began to serve his disciples. Often people don’t serve others because they feel that it will diminish their position and authority, they feel that it will somehow reduce their power or status. But Jesus did not need to be recognized, and he shows us that servanthood comes out of being secure in who you are. If you have ever felt that a particular act of service was below you, then you really don’t know who you are, as a Christian you already have a title that is far superior to any title given by man; you are a child of God. Jesus continues to teach, and verses 16 and 17 are the key verses here. “Very truly I tell you, no servant is greater than his master, nor is a messenger greater than the one who sent him”. Jesus makes it clear, that he as the ultimate example of a leader was willing to serve in such a humble capacity, if we call ourselves his followers, then we better not think any act of service is below our title or position. Verse 17 contains the promise of the blessing; “Now that you know these things, you will be blessed if you do them.” Now that you have learnt this lesson, and if you do them, if you serve others sacrificially, you will be blessed. We will be blessed as we serve others. Jesus in teaching his disciples frequently challenged the leadership paradigms of the day (see Matthew 20:26-28). Jesus taught that genuine service ignores the usual arguments about greatness. There is no place for selfish motives and self-promotion when you are serving the Lord (see John 13:13-14). A healthy church is one where everyone serves the Lord, serves each other and serves the lost. An unhealthy church, and unfortunately this is the typical Western church, is where 10% of the people do all the work of serving, and the rest treat the church as a convenience store where they come to once a week to get what they feel they need. As we focus on becoming a healthy church this year, I want to challenge you to recommit to serving the Lord right here at Grace Point. We are the body of Christ and our calling is to be the salt and light to our community. Sharing the wonderful gospel message, giving freely of our time and resources in order to invite as many people as possible into the Kingdom of God. Would you re-commit to serving the Lord in 2017 here at Grace Point? The truth is that you are not going to be always serving grateful or even deserving people, and when we are tempted to question whether or not the person or persons we are serving are deserving of our time and effort, we just need to be reminded of the fact that Jesus washed Judas’ feet. Jesus washed the feet of the one who had already made the decision to betray him, and Jesus knew it! We are not serving each other, we are serving the Lord. Many of you already serve in so many capacities, and I don’t want you to sign up for more work and more activities, but I want to challenge you to think about your area of service, are you serving out of routine? Are you serving because you figure no-one else will do it? Maybe you are serving out of your own expectations, rather than serving the Lord. As Christians, every act of service that we perform, points beyond itself and ultimately focuses attention on the cross of Jesus Christ. There is joy and freedom in serving the LORD, his yolk is easy and his burden is light is what Jesus said in Matthew 11. 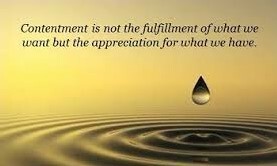 When our service is to the Lord, it is life giving and it brings joy. If your service to the Lord is not bringing you joy, you need to stop and ask the Lord to realign your motivation and your passion. I know what I am talking about. I sometimes find that in ministry, I get tired and lose my zeal and enthusiasm, I lead between 9 and 11 ministry meetings each week. From prayer meetings to Sunday morning service, each one needs a different amount of preparation. I have found that every now and then, I need to stop, take some time with the Lord and remember why I am doing what I am doing, the tremendous privilege I have, the joy of serving the Lord and seeing lives transformed for the Kingdom of heaven. There is no greater privilege. We live in a hurting world, all around us there is an abundance of pain and suffering, most the people you will encounter this week as you go about your daily life, do not have a personal relationship with Jesus Christ. Everyone of those people are destined to spend eternity in Hell. All around us the need is great. We have the Gospel message, we have the good news, and we also have a towel in our hands, something that the Lord has blessed us with to serve others. Serving your community in what may seem to be a small way, has unlimited potential to change the world for Christ. No act of service is too small. When we develop a servant mindset in our community, it spills over beyond the four walls of this church and to the check-out counter at the grocery store, or the waiter at your favorite restaurant, or your neighbor who lost their dog. Every exchange with others is an opportunity for us to be a servant, and an opportunity for us to share the Gospel message. Let us be people who serve like Jesus did. Prayer is a discipline and the most incredible privilege we have. Jesus displayed a disciplined prayer life throughout his time on earth. He would rise early in the morning or retreat from the crowd to be alone in prayer. As His disciples witnessed this, one of them came and asked him to teach them to pray, so Jesus taught them what we know as the Lord’s Prayer in Luke 11. These few lines carry all we need to know about prayer. Jesus begins the prayer with a statement that must have shaken their religious traditions; “Father, hallowed be your name.” We are invited to address God as our heavenly father, but we must never forget that he is the all holy, uncreated creator of the universe, hallowed be His name. Then in verse 3 the prayer continues; “give us each day our daily bread”. Jesus said that we are to pray to our heavenly father asking him to the provision we need for each day and then trusting him for the day thereafter. Can you imagine your child coming to you and asking for food, and then asking for a weeks’ worth of food so that they can store it up in their room, just in case you don’t happen to be there tomorrow? Jesus encourages us to pray with faith and confidence that our heavenly father knows our every need for each day. Looking further in chapter 11 and to verse 5, we read another parable that Jesus taught his disciples (read Luke 11:5-8). As always, Jesus uses an example that the people would clearly follow. The friend who had the unexpected visitor is unashamed in his asking, he persists in his request and Jesus said that because of his shameless audacity the friend will get up and give him what he needs. The key is the boldness of the friend outside the door, he is bold in his ask because he is secure in his relationship with his friend. This is the way we can come before the throne of God. We can and must be bold in our coming before our Heavenly Father (Read; Ephesians 3:12, Hebrews 4:16, Hebrews 10:19). We can only be bold because of the cross. God opened the way for us to come directly to his throne and he invited us to come boldly before him, without reservation. As Jesus concludes the short parable, he continues to teach in Luke 11 verse 9.The Greek verb tense literally means; keep on asking, keep on seeking and keep on knocking. There is an invitation by Jesus to persistence in prayer, but there is also a difference between these three verbs. Asking is face to face communication; we can come directly, with no intermediary, petitioning God. Seeking is taking time to find something. Spending time in prayer. Prayer is very often a searching and discovering of the will of God. Knocking is persistence; not giving up even when we feel our prayers aren’t being heard. We must keep on asking, keep on seeking and keep on knocking, not because God is hard of hearing but because in the process God is transforming us as we discover the plans and purposes of God. In our efforts to become people of prayer we can easily become defeated because of the false teaching that everything in the universe is already set, and things cannot be changed (the ancient philosophy of Stoicism). If things cannot be changed, why pray? But the Bible teaches that we work together with God through our prayers in changing the future of people and nations. The truth is that we have a tremendous responsibility to pray. Prayer changes things and we are called to change the world through prayer. Erwin Lutzer the pastor emeritus of the Moody Church wrote; “The sovereign purposes of God are uniquely connected to the extraordinary and united prayer of God’s people”. Jesus said in John 15:7; “If you remain in me and my words remain in you, ask whatever you wish, and it will be done for you.” But Jesus doesn’t end there, he goes on to say; “This is to my Father’s glory, that you bear much fruit, showing yourselves to be my disciples.” Answered prayer is always to the Fathers glory. God delights to answer our prayers because it is for His glory! Children know more about prayer than we do, Children do not get confused with reasoning and theology, they simply ask their Heavenly Father for what they need. Childlike faith is the foundation of a healthy prayer life. What are you asking God for specifically today? Do you believe that God is going to give you above and beyond what you are asking for? In your praying, are you praying persistently? If we understood the power and privilege that we have in prayer, our prayer meetings would be full and our times of prayer would be extended. Developing the Discipline of daily prayer must be a priority for us. Prayer is a privilege bought for us by the blood of Jesus. Through prayer marriages are healed, through prayer physical bodies are healed, through prayer the lost are saved, through prayer financial needs are met, and so much more. Pray specifically; What is the miracle that you need from God today? Pray expectantly; expect God to answer your prayer because He delights to answer your prayers. Pray thankfully; Sometimes part of the step of faith is to thank God for his answer even before we see the miracle. Be thankful when God answers your prayers. Let us become a people of prayer for the glory of God. Every day is an opportunity to start over. We all have our stories of starting over, maybe it has been after a bankruptcy, the loss of a spouse, a divorce or some other life change. Starting over has a certain appeal to it, leaving behind the past and beginning again. 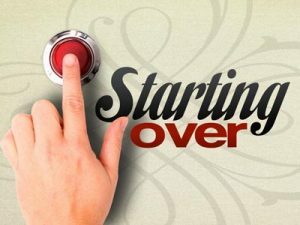 Starting over is not simply a reboot, as when you hit the reboot button on your computer, because after you reboot your computer it may start-up again and work well for a time, but the reality is that the problem caused by the virus or the spyware is still there, and your computer is going to crash again sooner or later. The same principle applies to our lives, there is no point in simply trying to hit the reset button in our lives if we don’t address the root cause of the problem, the deep down issues that are causing our pain and the lack of victory in our Christian walk. The writer of Hebrews uses a number of metaphors in chapter 12 pointing to the fact that the Christian life is a race, it is not a life of ease, rather it requires discipline. And the first discipline we have is the discipline of repentance and turning away from sin (Heb 12:1). Confession of sin is a discipline that needs to be done on a regular basis. As the writer to the Hebrews says, sin so easily entangles, and we get the picture that sin is like a creeping vine that wraps around a person’s legs and prevents them from walking and eventually chokes the life out of them. At the outset of the new year, have you spent time, confessing your sins, repenting and recommitting your life to following Jesus? So as we throw off the sin, verse 1 continues; “And let us run with perseverance the race marked out for us,”. As Paul wrote in 1 Corinthians 9, the Christian life is not a meandering in the forest, or a life of ease, it is a race that requires strict discipline. The reason is that there are eternal consequences for your daily life. The decisions you make today about how you spend your time, your money, the people you talk to, the places you go, all of these have eternal consequences. So how do we run this race? Verse 2 starts with the crucial phrase for every Christian; “fixing our eyes on Jesus”. There is simply no other way to live the Christian life. A great picture we have in the Bible is when Peter walked on the water to Jesus. The moment Peter took his eyes off of Jesus, he began to sink. Taking your eyes off of Jesus is the moment your faith begins to waiver. Who or what are you looking to in life? Where is your faith? Jesus is the only security that we can trust for 2017 and beyond. Verse 3 goes on; “Consider him who endured such opposition from sinners, so that you will not grow weary and lose heart.” Jesus is not someone who is aloof and unfamiliar with our suffering and difficulties. The ESV version of the Bible says, “don’t become fainthearted”. In the last year did you feel weary or fainthearted? It is something that we all struggle with at one time or another, but the Bible says that the reason we grow weary and fainthearted is because we take our eyes off of Jesus, we begin to look at the storm clouds on the horizon. We get fainthearted when we look at the uncertain future for our children, we see the number of murders in our city, we look at the unstable financial markets, we get fainthearted because we take our eyes off of Jesus. Going back to verse 2 again we read; “fixing our eyes on Jesus, the pioneer and perfecter of faith “. Jesus is not only our guide he is also the perfecter of faith. It is all about faith; believing that the blood of Jesus covers our sins, believing that Jesus has gone to prepare a place for us, believing that all our earthly struggles are temporary because this is not our home. But then Hebrews 12 goes on to talk about discipline (Hebrews 12:5-6). We need to have a clear understanding of the difference between discipline and punishment, there is so much confusion between these two words in the church today. Punishment is a consequence of sin, whereas Discipline is preventative. If you study your Bible, everytime God punishes someone, there is an eternal consequence for sin. But discipline is a training or a correction in order to fulfill the promise of a better future. Discipline has nothing to do with retribution and everything to do with redemption. If you have made Jesus Christ Lord of your life, you will experience the discipline of the Lord, simply because he loves you so much that he does not want you to struggle with the same sins day after day, week after week and year after year. Then there is the fruit of this discipline (see Hebrews 12:11). Do you want to have peace in your life this year? Allow yourself to be under the discipline of God, don’t resist the corrections that God brings into your life. He is your perfect Heavenly Father and he will only do things in your life that will be for your good. (see also; Jeremiah 29:11, Luke 12:7, Romans 8:28). 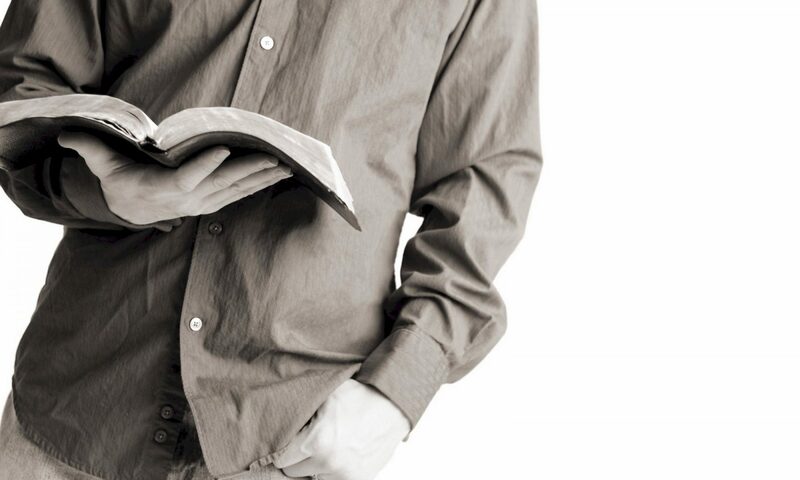 Not only are we disciplined by God, but we are also taught to discipline ourselves. We need to practice disciplines in order to run the race God has planned for us. Over the next few weeks we will be looking at some of these spiritual disciplines that will help us in the running the Christian race in 2017. Are you ready to commit to run the race that God has for us, throwing off all that hinders you in your personal life?